Microsoft is now rolling out a new update for the Groove app on Android devices. The latest update brings Groove app curated Playlist feature on Android devices. The company already released these new features on Windows 10 PCs and Mobile devices. The new Playlists automatically generated playlists curated to your taste, based on a variety of factors such as your use of Groove (e.g. top plays, recent adds, mood, genre, era, recent releases, who is on tour, critical reception), and common music-related activities. The new update also includes various bug fixes and other improvements. Add your MP3s to OneDrive and play them wherever you go. Download playlists, albums, and songs from OneDrive to enjoy your favorites even when you’re off the grid. See at a glance what’s available where (online, offline, both). 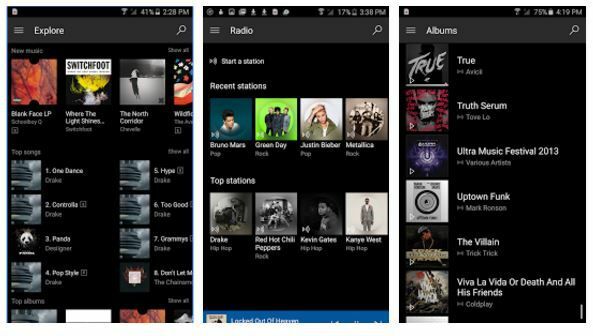 Discover new songs, albums, and artists right from your Android phone. Play ad-free music from one of the biggest music catalogs on the planet. Add songs, albums, and playlists to your Groove music collection and access them from your phone, Xbox, PC, and the web. Listen to radio stations based on your favorite artists. The latest Groove app update for Android is now available in the Play Store. You can download it from the link below. The app APK file is also now available for download from here.